Play ...g6, ....Bg7 and ...c5! The Sniper is a dynamic and universal opening weapon for Black which can be used against all mainline openings. Black's system of development with ...g6 and ...Bg7 initially allows White to occupy the centre but, in true hypermodern style, Black strikes back immediately with ...c5. 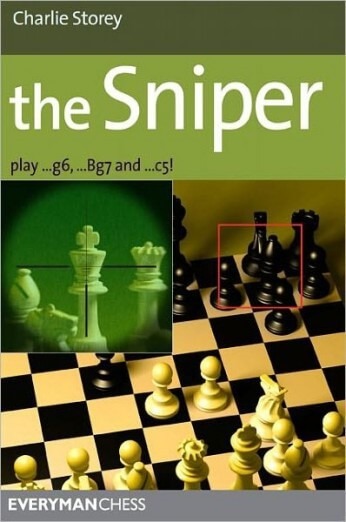 The Sniper can lead to original or barely-known positions in which Black can strive for the initiative. It's also rich in move-order possibilities, with potential transpositions into Sicilian, King's Indian or Benko-type positions. FIDE Master Charlie Storey has spent years refining his favourite opening, successfully testing it out against players of all levels. In this book he reveals all his secrets, recommends his favourite lines for Black and provides you with everything you need to know about this fascinating opening. Explains typical plans and tactics for both sides.